Crucial MX500 500GB review – THE MARCH OF TECHNOLOGY waits for no man. Unless the poor sap in question relies upon the SATA interface for his PC storage connectivity. In which case, technology is happy to sit down and soak up the view. That’s because of the limitations associated with SATA. First, there’s a hard bandwidth limit of around 550MB/s, net of overheads. Then there’s the fact that SATA is reliant on the AHCI control protocol, which hails from the mists of 2004, making it positively antediluvian in tech terms. Critically, it also means that AHCI was never conceived with solid-state storage in mind. It was designed to suit magnetic drives and read heads, not NAND chips. One of the more obvious upshots is the practical cap it puts on random access performance. AHCI isn’t optimized to allow SSDs to give their best when it comes to random access performance. 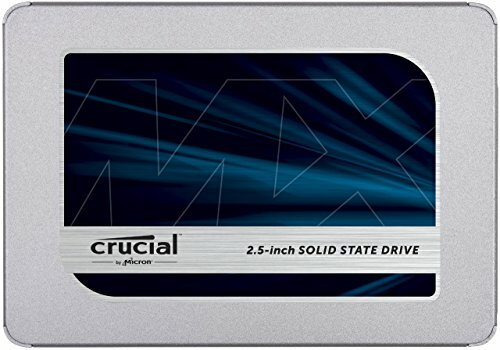 With that long-winded preamble in mind, may we present Crucial’s newest SSD, the MX500. 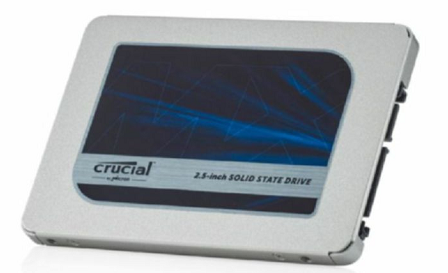 The MX500 does bring some substantial hardware changes to Crucial’s flagship line of SSDs. It gets parent company Micron’s new 64-layer 3D TLC NAND memory. Just as important is the switch from Marvell to Silicon Motion for the controller chipset. That said, the raw specifications are little changed over the previous MX300 drive— and. indeed, the MX200 before that. If the new MX500 therefore establishes itself as a solid all-around SATA SSD, the final test involves bang for buck. That’s seriously competitive for a drive with such solid performance and a five-year warranty. It’s not often that a SATA drive makes such a compelling case for itself, such is the maturity of this particular market. But the price and that five-year cover are a killer combo. It really is hard to think of many convincing reasons to buy anything else. Best scores are in bold. Our test bench consists of an Intel Core i7-7700K, an Asus Maximus IX Hero, an Nvidia GeForce GTX 1080, 16GB of Corsair Dominator Platinum DDR4, and a Samsung 850 Evo 250GB OS SSD. BEST ACTOR Solid all-around performance; five-year cover; great price. SUPPORTING CODPIECE It s still a SATA drive; PCI Express SSDs are far faster.